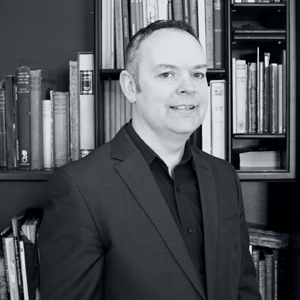 Colin graduated from Duncan of Jordanstone College of Art in 1999 with a First Class Honours degree and has accumulated seventeen years of post-qualification experience as an Architect, including five years’ experience as a Project Manager for two major institutional bodies. Following eight years of architectural practice in Manchester, Colin returned to Scotland in 2008 to work with SMC Parr Architects, before developing his own practice in 2010. In 2017, Colin joined Hurd Rolland’s Expert consultancy section as a Senior Architect. Throughout his career, Colin has had the opportunity to work a wide variety of award winning projects, including schools, offices, museums, hospitals, hotels and sports buildings, as well as industrial, retail and multi-residential developments. More recently he has been involved in overseeing the delivery of several higher education and cultural projects for National Museums Scotland and the University of Edinburgh. Colin is experienced in all stages of project work, including design, brief development, production information, technical specifications, technical review, project management and sustainability. He has extensive experience in contract administration as well as key skills in client/ stakeholder management. His wide ranging experience has enabled him to oversee numerous statutory applications for Heritage sites, Scheduled monuments and Sites of Specific Scientific and Archaeological interest, as well as sites within National Scenic Areas. Having spent time as a student working in Portland Oregon, Colin gained valuable experience in the detailing of timber structure, cladding and roofing systems, thus developing his keen interest in the systematic analysis of timber construction detailing. Colin is a member of the Royal Incorporation of Architects in Scotland, the Chartered Institute of Arbitrators and the Association of Project Managers. In 2011 after completion of a Masters in Construction Law, he was included on the RIAS Adjudicators Panel, and accredited as an Expert Witness by the RIAS in 2012.